Coastal Bend College student Veronique Ramirez spent a couple of days in the capitol office of Texas State District 35 Representative Jose Aliseda during the 82 legislative session. Ramirez earned the internship that Aliseda offered during his May 13 commencement speech. “I worked closely with the governing body that procures laws and shapes public policy for millions of Texans,” Ramirez explained. She worked with the staffs of both Aliseda and Texas State Senator Juan “Chuy” Hinojosa (District 20). She spent two days in Austin inputting data, greeting capitol visitors, answering phones and doing legislative research. She was given a staff identification badge for errands that required her to have special access to non-public areas of the capitol building. During a tour of the Senate Chamber with an aide from Senator Hinojosa’s office, Ramirez was introduced to the Senate floor doorkeeper, Austin Osborn and Sergeant-at-Arms Rick DeLeon, both elected officials. She was given the opportunity to watch state senoators introduce and deliberate legislation. “It was an unbelievable moment for me,” recalled Ramirez. “I am sincerely grateful to Aliseda and Hinojosa, the Coastal Bend Board of Trustees, Dr. Thomas Baynum, Glynis Holm Strause, Ben Shelton, and all of the staff and faculty for allowing me this opportunity to advance my knowledge of state government,” she said during a June 14 college board meeting. Ramirez is a 2006 Falfurrias High School graduate. She has attended CBC since Fall 2010, working on an associate of arts degree. She worked for CBC TRiO Programs and helped with the annual TRiO Day, in addition to taking classes toward completion of her degree. She plans to transfer to the University of Texas at San Antonio next year to finish a degree in political science and study law. Ramirez clerked in the Brooks County District Clerk’s Office in 2008, and, more recently, worked for Brooks County Judge Raul M. Ramirez. The civic-minded Ramirez has volunteered for Teaching and Mentoring Community in Falfurrias classrooms, Western Week Festival in Beeville, and Bee County Chamber of Commerce in Beeville. She also participated in the restoration of the Ritz Theatre in Corpus Christi. 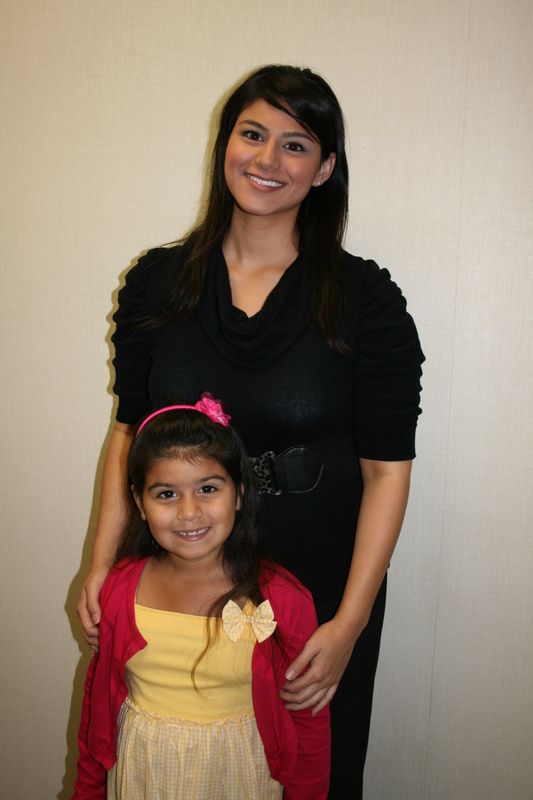 Ramirez and her daughter, Kirsten, reside in Beeville.